In a move that is being hailed by civil liberties advocates as a victory for privacy rights, the U.S. Senate on Friday rejected the USA Freedom Act, a bill that sought to rein in the National Security Agency’s (NSA) spying powers but that would have reauthorized some of the most controversial provisions of the USA Patriot Act. By a vote of 57-42, the Senate did not pass the bill that would have required 60 votes to move forward, which means that the NSA must start winding down its domestic mass surveillance program this week. The Senate also rejected a two-month extension of the existing program by 54-45, also short of the necessary 60 votes. 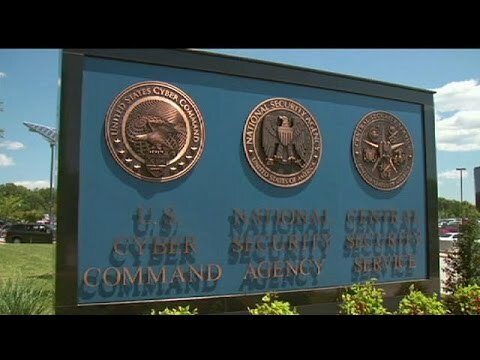 The Obama administration had previously warned Congress that if the Senate was unable to extend Section 215 of the Patriot Act by May 31, which the NSA leans on to justify its mass surveillance program, the government would need to launch its shutdown of the phone records collection operation ahead of time. With the U.S. House of Representatives already gone for Memorial Day holiday, the Senate had until this weekend to resolve its gridlock. Section 215 is set to expire on June 1 absent congressional action. The House voted in favor of the USA Freedom Act earlier this month. This was a “historic tactical win against surveillance,” Cheng added. Senate Majority Leader Mitch McConnell (R-KY), the most outspoken supporter of the Patriot Act, who has called for its clean reauthorization, said he would reassemble the Senate on Sunday, May 31 for a last-ditch effort at passing either bill. But opposition is strong against the idea of allowing government spying to continue, even at a modified pace, as outrage over the NSA’s domestic phone records collection program—exposed in 2013 by whistleblower Edward Snowden—has grown among lawmakers and the public alike. Opposition became stronger after a federal appeals court ruled earlier this month that the NSA’s phone data sweep is illegal. Some in Congress see the USA Freedom Act as their best bet at reforming the NSA, as it would have enshrined the end of the domestic surveillance program into law, but many civil liberties advocates took issue with what they say as the bill’s numerous concessions to intelligence powers. In a blog post published April 30, Electronic Frontier Foundation (EFF) legislative analyst Mark Jaycox and activism director Rainey Reitman called the USA Freedom Act “a small step instead of a giant leap,” particularly in comparison with previous iterations of the bill, introduced in 2013 and 2014, which offered stronger reforms but failed to progress through Congress.